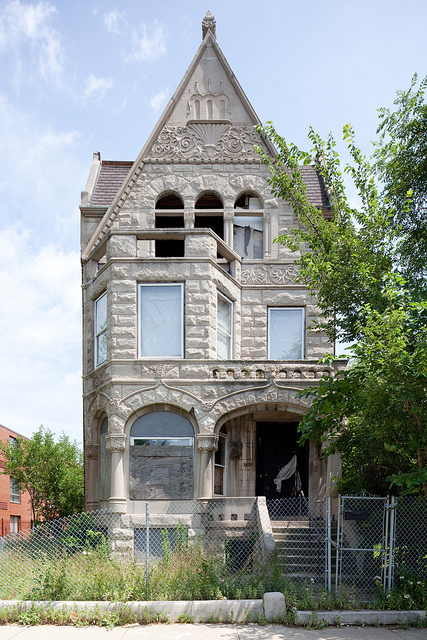 Gapers Block - To be Demolished: 3639 S. Michigan Ave. Permit Description: Wreck and remove a 2-story masonry building. This block of South Michigan Avenue was once the home of many grand residences, but it has been radically transformed by institutional and low income building construction in the last 60 years. This building is one of only six remaining original buildings on the block. A 311 call was made about the building being open and vacant on May 27, 2011. Despite being added to the list in July 2011, the building remains standing for now. Whet Moser published additional information about the architect on The 312, including the year built, which has subsequently been added above.